*Note: click lower right corner of picture to enlarge. Kitchen remodel using a waterfall edge laminate deck complimented with a customer installed tile backsplash. New Kitchen countertops with no-drip front edge. Kitchen remodel with no-drip front edge and square edge on raised bar. New kitchen countertops custom fitted around existing cabinets and walls. Custom edge detail with laminate face and solid surfaceedges. Reception area of local plumbing company. Reception area at local real estate company. New office area for local dairy supply company. New laundry room tops with no-drip front edge and coved waterfall backsplash, fitted in odd angle corner. New kitchen island top with bullnose (full-round edge) and square edge on end. Kitchen remodel with bullnose edges and full height back splash. Pass-thru with bullnose edge. Combination cutting board/hot plate in laminate countertop. Custom splash height to fit around electrical outlets and new window stool. 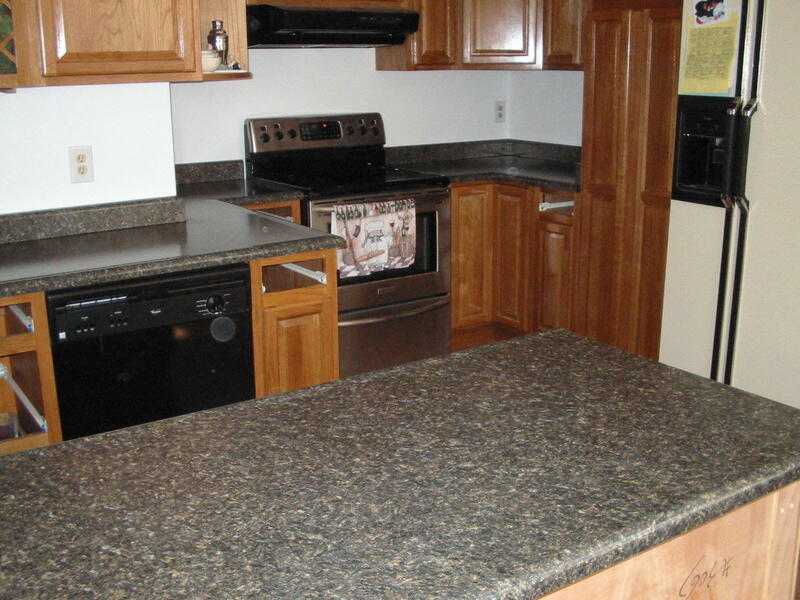 <---After picture of new laminate countertop. New church dining area with 36" bar top with bullnose edge on both sides. Dentist office remodel with LG HiMacs acrylic solid surface raised bar and laminate countertop desk area. Dentist office laminate countertop work area. 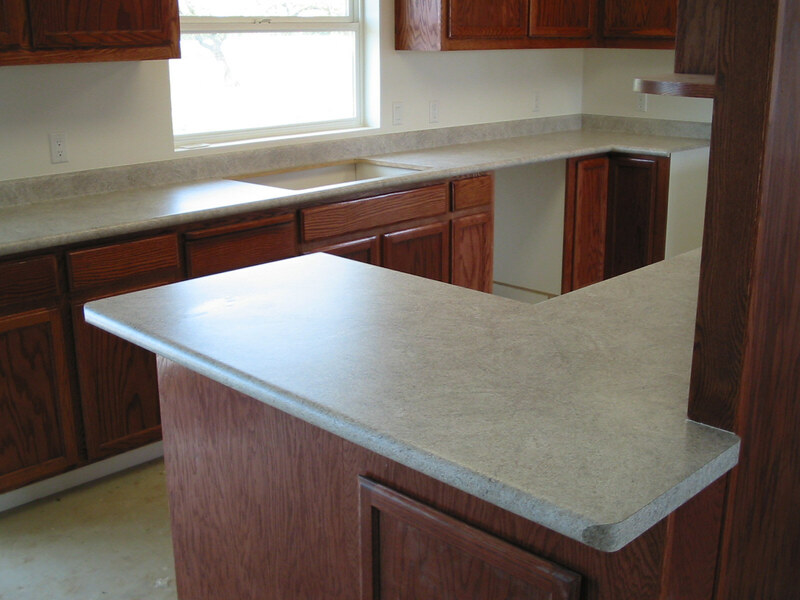 Elementary school laminate countertop, 32 ft. long.